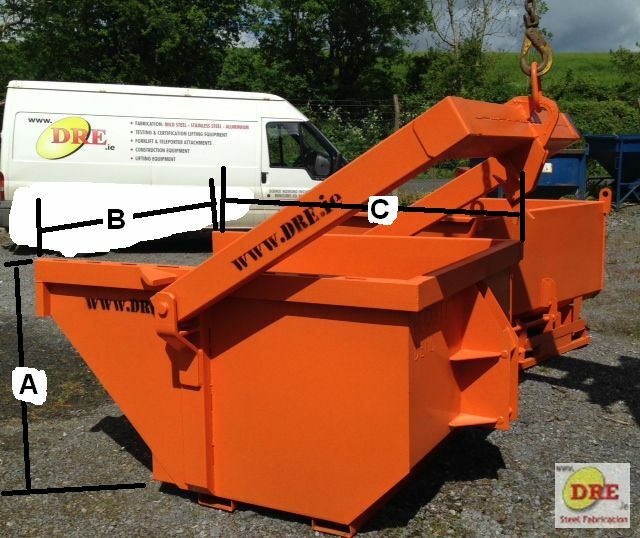 DRE have been manufacturing and supplying Crane Boat Skips for over 20 years. 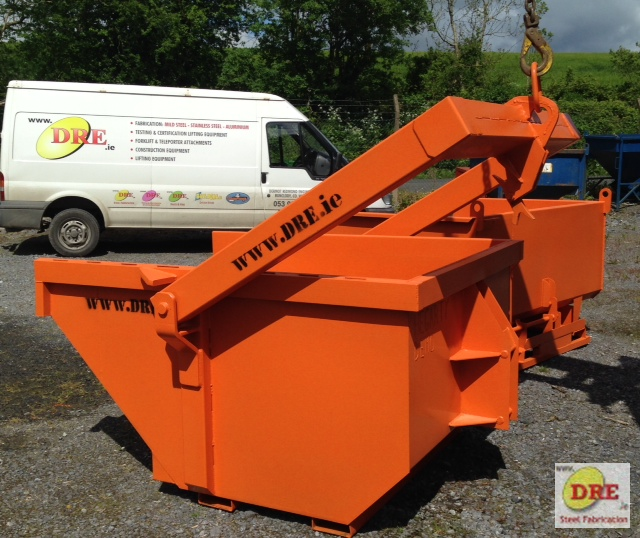 The Crane Boat Bins are manufactured in our workshop situated in Bunclody Co.Wexford Ireland, at the Wexford, Carlow and Wicklow borders. 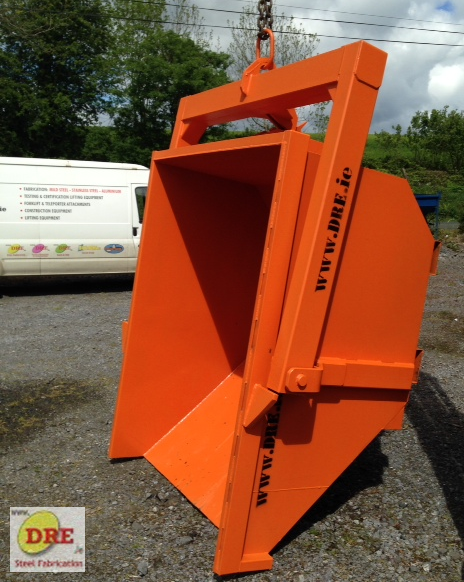 The high quality of these boat skips permits an automatic unloading without a manual intervention by the crane operator with a special and modern system of release. A B C S.W.L. Net Wt.